Refreshes and cleanses normal & sensitive skin. No mineral oils, synthetic fragrances or colours. No EDTA, parabens and silicones. 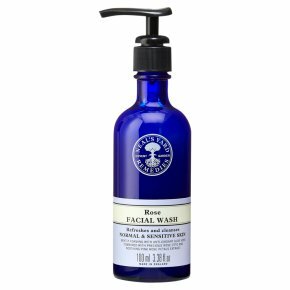 Certified organic ingredients.Gently foaming with anti-oxidant aloe vera combined with precious Rose otto and soothing pink rose petals.